Singer and actor Tab Hunter became a Hollywood icon during my parent's generation. Although his rise to fame and the height of his career occurred well before my time, I was saddened to hear that he had passed away on Sunday, July 8 2018 at the age of 86. I know little about Mr. Hunter and his career, and I can't claim to be a fan of his films as the only one I've seen, that I'm aware of anyway, is Grease 2 which is hardly a film one could reasonably measure his talents by. Instead, like many gay men my age, I'm mainly affected by Tab Hunter's sudden passing because of his role as a gay icon, and a very handsome one at that! 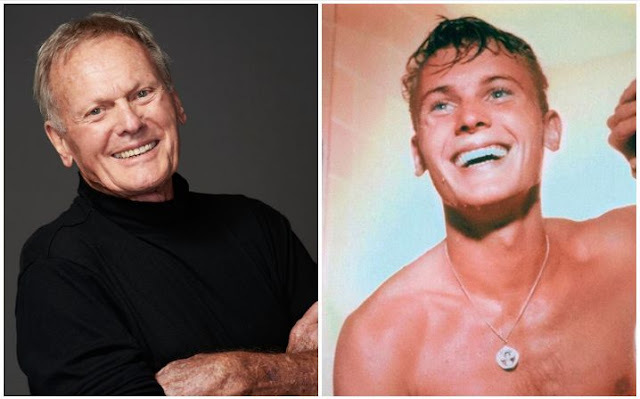 It's understandable as to why he attracted such a devoted following of girls during the late 1950's, with his blond hair and his sweet smile Tab Hunter's looks were well suited to movie screens, on which he apparently spent a lot of time without a shirt... something that I'm looking forward to investigating further! 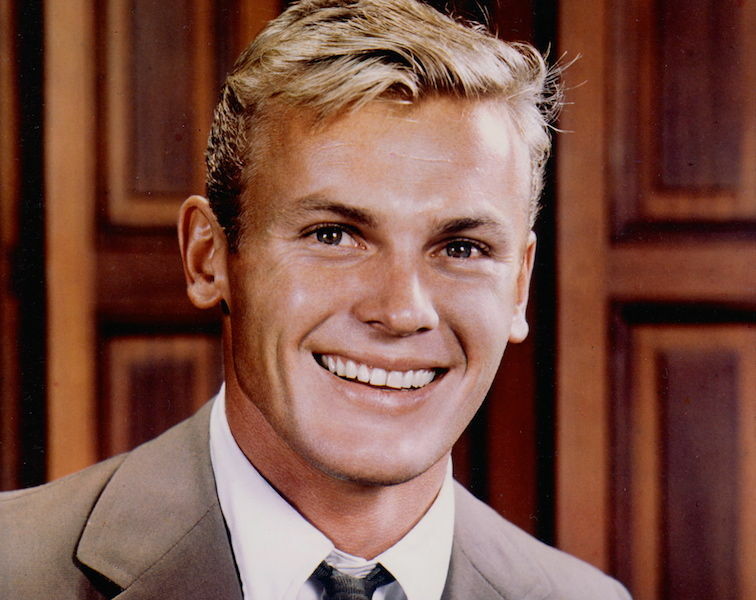 Yet quite remarkably, as with many other leading male Hollywood actors, Tab Hunter was forced to live a double life from his childhood in the 30's through to his senior aged adulthood, only recently confirming publicly in 2005 that he was gay. His fame occurred at a time when society was so intolerant toward homosexuals that most treated the subject as being too taboo to even talk about, and as such for the sake of his career and more importantly for the sake of his safety and well being, it was not only prudent but necessary for Tab Hunter to hide the fact that he was gay. I find it ironic that quite contrary to the so called "controversy" of being gay, Tab Hunter seems to have been quite a gentleman and never did anything that was actually controversial... no excessive drug use or public incidents of drunkenness, no reckless driving, no forced sexual contact, no scandals what so ever! Evidently he was quite a respectable human being which, I think it's fair to say, is rare in Hollywood. How sad and shameful that society forced a good man like Tab Hunter to live out the majority of his life in secrecy, concealing his true self and his true spirit from the world, just because he was gay. In the least, it's comforting to know that through it all he persevered to find a few steady partners over his lifetime. He also spent the last 35 years with partner and film producer Allan Glaser, who was quoted in the media stating that Tab Hunter's death was "sudden and unexpected". Above is a YouTube video of Tab Hunter singing his hit song Young Love in 1957. He is sooooo adorable in this video! It's fun to watch as he keeps breaking out into a big smile, as though he's trying to keep from laughing. Such a sweet young man! It's interesting that the song does not mention any suggestion of whom he is singing to other than a "young love, first love", and as such this can be interpreted as a love song for heterosexual or homosexual couples. Tab Hunter as he appeared at the height of his fame in the late 1950's. 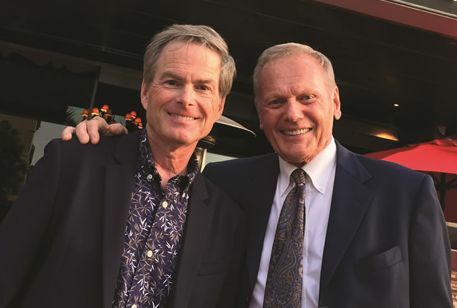 A more recent image of Tab Hunter, and his younger self from the late 1950's.